Myopia, or nearsightedness, develops through a molecular pathway distinct from the pathway that leads to hyperopia, or farsightedness. Resolving the molecular blur behind blurred vision, say scientists based at Columbia University, could sharpen the vision of drug developers interested in pharmacological treatments for myopia, which is not only the most common eye disorder, but a vision problem that is becoming increasingly prevalent. In fact, myopia is becoming one of the leading causes of vision loss in several parts of the world. The development of anti-myopia drugs has been thwarted by uncertainties regarding the mechanisms controlling eye growth and optical development—including the molecular signaling pathways underlying it. To bring these pathways to light, the Columbia-based team, led by Andrei V. Tkatchenko, Ph.D., associate professor of ophthalmic sciences, induced either myopia or hyperopia in marmosets, by placing lenses in front of the animals’ eyes. A lens that shifts the focal point to behind the retina (hyperopic defocus) induces myopia, while one that shifts it to in front of the retina (myopic defocus) induces hyperopia. In each case, the eye changes shape, elongating or shortening, to compensate by moving the retina closer to the focal point. After the marmosets were exposed to defocus of either type in one eye, the scientists scrutinized the animals’ retinal transcriptomes. That is, the scientists compared gene expression profiles for retinas that had been exposed to “optical defocus” to the profiles for retinas that had not. Ultimately, the scientists not only identified key signaling pathways underlying retinal responses, they also determined that these molecular pathways differed, for the most part, between the two types of defocus—that is, between myopia and hyperopia. Details of the study appeared recently in the journal PLOS Biology, in an article titled, “Gene expression in response to optical defocus of opposite signs reveals bidirectional mechanism of visually guided eye growth.” The article indicated that while both types of defocus induced changes in important cellular signaling pathways, with the scores of genes affected in each case, only a small handful were affected by both types of defocus. There were also gene activity differences over time in each type, with little overlap between those affected within the first 10 days and those affected after 5 weeks. “We also found that 29 genes differentially expressed in the marmoset retina in response to imposed defocus are localized within human myopia quantitative trait loci (QTLs), suggesting functional overlap between genes differentially expressed in the marmoset retina upon exposure to optical defocus and genes causing myopia in humans,” the article’s authors wrote. 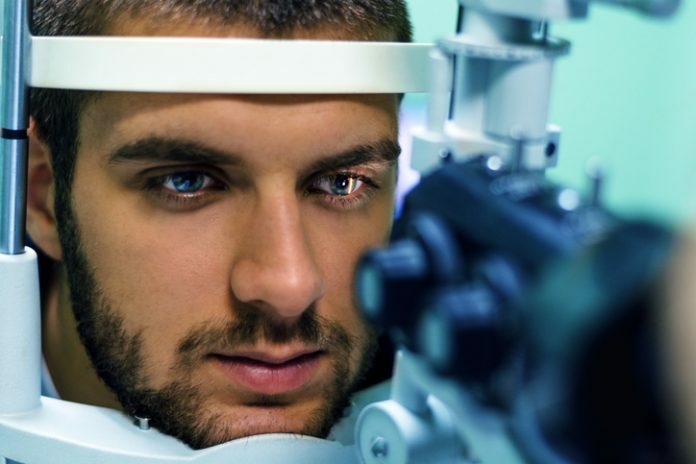 “These findings identify retinal pathways involved in the development of myopia, as well as potential new strategies for its treatment. The 29 genes that showed changed expression in response to defocus were localized within QTLs, or chromosomal regions, previously associated with human myopia in large-scale genetic studies, suggesting that variations in the expression of genes involved in the normal regulation of eye shape in response to defocus contribute to nearsightedness. Myopia occurs when the eye grows too long, increasing the distance between lens and retina such that the image produced by the lens comes into focus at a point in front of, rather than on, the retina. In hyperopia, the opposite occurs; the eye is too short, and the focal point is behind the retina. While prolonged “nearwork” such as reading or sewing increases the risk of myopia, neither the molecular pathways underlying its development, nor those driving hyperopia, are well known. Myopia is expected to affect nearly half the world's population in the next three decades.